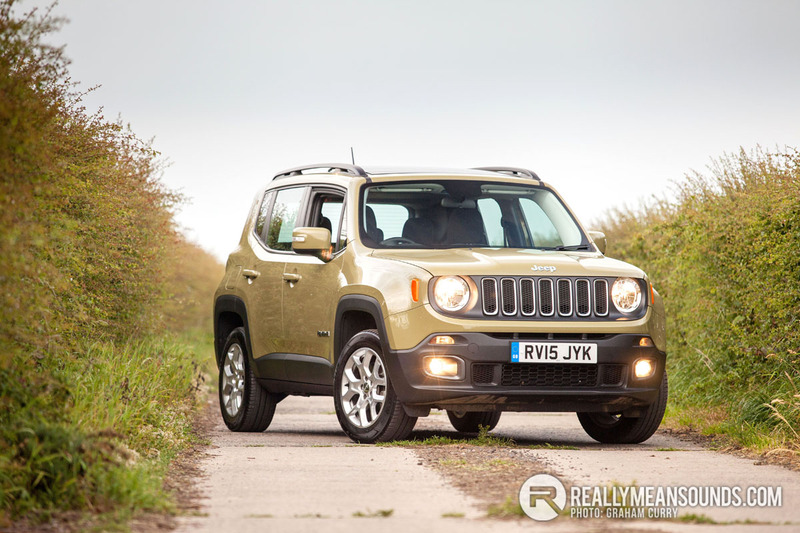 You are at:Home»Road Test»Renegade Master: Well done Jeep! Renegade Master: Well done Jeep! Back in the mid 90’s “house music” was one thing that allowed young society to get a release at the weekends, it allowed them to express one’s self in a way that they understood and found comfort and soul within, it allowed them to cross divides and become one. Many outsiders to the clubbing scene will never understand the attraction of said music culture, and in fairness this is okay, as it is a marmite thing that you either understand and love or have no interest and hate, or maybe one of those things you tried and decided it wasn’t for you, either way you are asking what has all of this got to do with an off road vehicle. Well in 1995 DJ Wildchild released a track by the name of “Renegade Master” and this track was one that spiced things up within the music culture at that time and in 1998 with a remix thanks to the infamous Fatboy Slim the track took a huge twist and the dance floors went awol! This now brings me to the all new JEEP Renegade you will be glad to hear. It all began in 1941 with World War II requiring serious numbers of small go anywhere Jeeps and the “Willys MB” is where it all began, used by US troops during the conflict and today there are hundreds across the world with collectors that have lived to tell a story. Since then Jeep has produced civilianised vehicles and over the years each model has become more and more refined and brought up to date. Until recently though, they have been a marmite choice, a little rugged and very bland inside, luxury compared to its beginnings but still some progress was needed. A bit like the “Renegade Master” track, it was out there and a lot of people loved it, however to appeal to the masses and become fashionable, it took a remix to spice things up and the all new Jeep Renegade has certainly spiced up a brand that has been producing some top models of late. It has an eclectic mix of modern funkiness, with a heap of retro charm about it and I must say I completely fell for it, especially in the Olive Green which to me roots back to the colours expected in 1941. Sitting in a very on-road aimed small SUV crossover segment, pitched against the Citroen C4 Cactus, Vauxhall Mokka and Skoda Yeti the Renegade comes into the segment as the only properly capable model off-road. All of these crossovers are easy in, easy out due to the extra height, and all allow room for two adults and two kids with an average sized boot, however most are two wheel drive with small engines that are only useful for a trip to the shops and the school run. The Renegade arrived screaming with excitement however due to it’s off road ability from its brothers and sisters and in this test model a punchy 140bhp 2.0 Diesel engine with six speed gearbox was a perfect combination for mixed driving and on my week’s test returned a surprisingly good 45.2mpg. I felt the Renegade was the easiest of the segment to get in and out of due to its extra height and apart from the seats needing some proper bolster support it was very comfortable. Sat Nav, Bluetooth, DAB radio and USB phone connectivity via a touch screen was faultless but I feel the screen should have been a little larger. Rear leg room was good for kids and maybe a little tight for adults on a long jaunts but good compared to others in the segment, boot space was ample, I was able to carry most of my camera equipment with ease and under the floor there was a full size spare wheel which was a bonus. On the road the Renegade behaved well, so well in fact that my wife started looking at colour options in the hope that I would maybe treat us to one, I must admit I could easily see myself owing one of these due to the quirkiness alone never mind how nice they drive. With a small amount of body roll on road as expected due to the nature of the Renegade it was only right that I took this vehicle off road to see how well the suspension absorbed the rough stuff. Yet again it was Ireland Offroad Experience within Clandeboye Estate in Bangor that provided me with an awesome test through the woods. A test that shocked me, the Renegade really comes to life on the rough stuff with varying differential settings and a four wheel locking feature it didn’t even think twice about any challenge we threw at it. Ground clearance was perfect for all but the incredibly rough stuff that only an agricultural off road vehicle could handle and indeed covered terrain that the new Land Rover Discovery Sport couldn’t cover. All in all I would say that the Renegade will appeal to the fun loving owner, the owner who doesn’t really mind much what others think, and the owner who loves being a little different to “the norm”. This owner brief is I to a T and I will be keeping my eye firmly on these in a few years time as a possible addition to the drive.